The date was April 9, 2017. 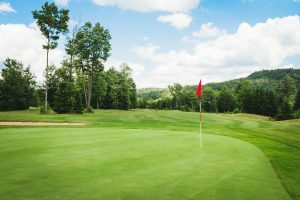 John Puffer and Danny Jackson purchased the former River’s Edge Golf course and were on a mission to transform the somewhat tired golf course into the Bancroft area’s best 18-hole golf course. A very ambitious goal considering there was so much to do in so little time. Fast forward 3 months and wow what a difference. The course has never been in better shape and golfers are raving about the improvement in greens and the fairways. Behind the scene, a lot of improvements have been made. including the following. A Grand Opening party is held at the clubhouse on July 11th to celebrate ! We look forward to seeing you at Bancroft Ridge and would love to get your feed-back about all of the changes. Please join us for a BBQ to celebrate the Official Opening at Bancroft Ridge Golf Club on Tuesday July 11, 2017. 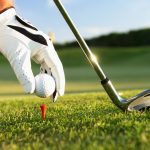 2-for-1 Golf – All day! Green fees for 2 people to golf for the price of one person. Prizes: Several prizes to win, breakfast or lunch in the clubhouse, a round of golf for 2 and more. Please R.S.V.P. or book your tee time now through the Pro Shop.